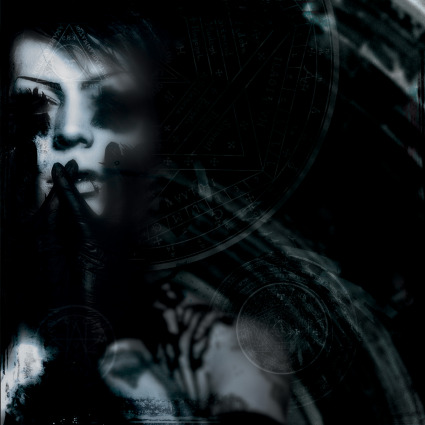 With the release of '[Order Of The Shadow: Act I]', Nero Bellum and his industrial / black metal crossover band Psyclon Nine returned to action after several years of uncertainty amongst their fanbase. After receding temporarily from public view, rumours swirled until the official channels once again opened. A collaboration and tour with fellow black metal infused industrialists Dawn Of Ashes showed Bellum to be back on form, and the release of the long-awaited new album cemented the collective hope of his fan base. 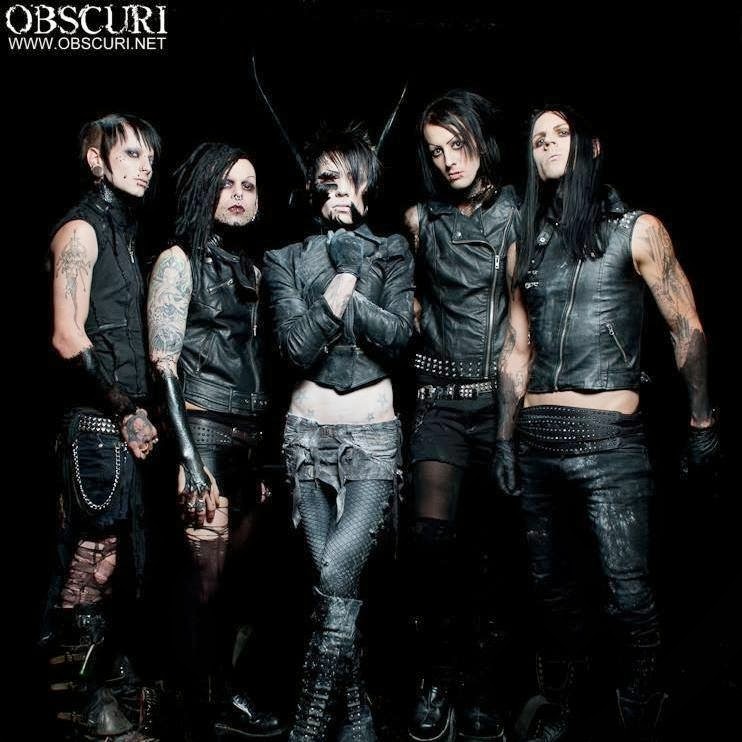 Cryptically though, Bellum has already hinted that '[Order Of The Shadow: Act I]' signals the beginning of the end for the band he has just resurrected. Intravenous Magazine delved into the shadows to speak to Bellum about the road to the new album as well as the future of the band. Intravenous Magazine: You’ve just released your latest album '[Order Of The Shadow: Act I]', how has the response been to it so far? Nero Bellum: The first pressing from the record label sold out in less than a week so, I believe that the response has been fairly good. I've read quite a few great reviews which, is a little bizarre as critics have never been too keen on Psyclon Nine since its inception. IVM: The album was produced by Chris Vrenna along with yourself. How did that partnership come about and what do you believe Vrenna brought to the album? NB: Chris and I met through a mutual acquaintance and became very close friends very fast. I have a lot of respect for Chris and his career as, most of what he had done was what had inspired me to become a musician years and years ago. I wanted to go back to my influential roots with 'Order Of The Shadow' so, bringing Chris into the picture couldn't have made more sense. He was really able to push me in ways that other producers never have and that's always what I look for when selecting a producer. IVM: Thematically and conceptually what has influenced the direction of the new album? NB: The themes of my albums have always come from the same place. Attempting to make sense of visions and dreams from when I was very young. I had reoccurring dreams of the apocalypse from the time I was thirteen well into my 20's and each of these dreams would lay out a different scenario in which the world would come to an end. Each dream was narrated by a disembodied voice which would tell me that I would continue to have these dreams until the true end would be revealed to me in a final dream. I did end up having that dream and most of the songs that I've been writing since 'Crwn Thy Frnicatr' have been laying the groundwork for that story. IVM: You've also used a lot more of your “real” voice on this album. What led to that decision and how do you feel it has complimented the sound overall? NB: I chose to lose the pitch shifter effect that I had been using for a long time as, it became a staple sound within the industrial scene and although it does sound good when creating dark music that is predominantly electronic, it really didn't have a place in the more organic direction that I took when I wrote 'Order...'. IVM: You've previously mentioned that this will be the final Psyclon Nine album, what has led to this decision and how many more “Acts” can we expect to be released? NB: You can expect a trilogy to finalize the trilogy. IVM: The band went on hiatus for a while after 'We The Fallen'. How are you these days and was there ever a danger of Psyclon Nine not returning? NB: There was never any sort of official breakup or hiatus. I watched a lot of rumours fly around for a few years and simply chose to let them fly. It was interesting. I had even read that I had died at one point. I just needed some time to regroup and to focus on what was next for Psyclon Nine. IVM: Did you have any doubts as to whether the audience was still there? NB: Our culture does seem to have a bit of ADD and the more you can stay in the light, the better. I felt that it was nest to let fate sort it out when we decided to step out of the shadows. 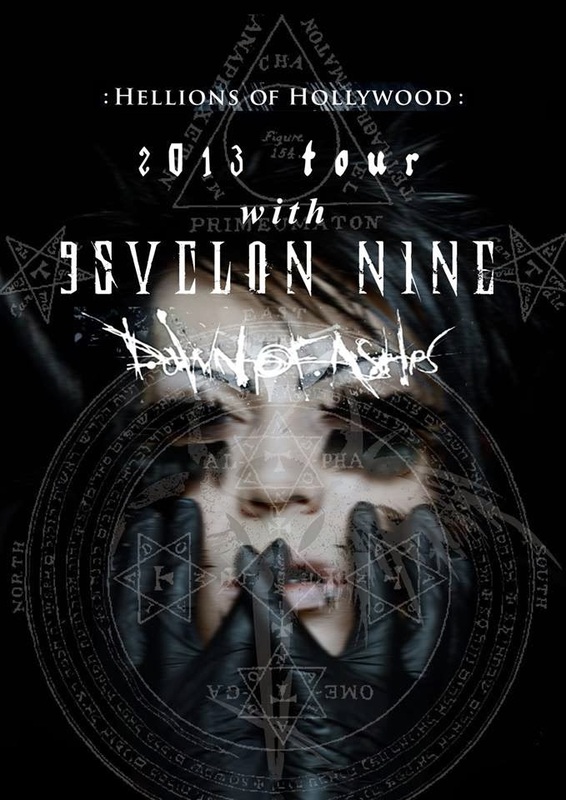 IVM: How do you feel the band dynamics and creative processes of Psyclon Nine have changed since 'We The Fallen'? NB: Again, I took Psyclon Nine into a much more organic direction. I don't program music as much as I play it these days. Everything on this new album was played by hand, including drums and dialogue samples which were all played on a midi controller. Most of the electronic noise samples were actually me, playing guitar through multiple effects as opposed to synths ran through samplers. Again, very organic. IVM: The album was funded successfully with a Kickstarter campaign. What led to the decision to go down the crowd funding route? NB: We needed much more time in the studio than our original budget allotted and I felt that our fans would be more than happy to become a part of the process. Our fans are very, very important to me and although a lot of acts would hesitate to have them become involved, I welcome all of the love that we receive from our fan base. This would all be pointless without it. IVM: Is it a tool that you'd be happy to continue using on future releases? NB: Absolutely. As an independent band on an independent label, if we want to do anything above and beyond simply releasing an album, it's a must to involve your fan base these days. IVM: You'll be releasing a music video for the album's lead single 'Use Once And Destroy'. What can you tell us about that? NB: It has been a very long and hard road. A lot of pain and suffering went into the creation of this video and I'm sure you will recognize that as soon as it's released. Any day now. IVM: You've already finished 'Hellions Of Hollywood' tour with Dawn Of Ashes. How was that for you all? NB: It was great to be able to connect with our fans again and to perform tracks from Order as well as some of our previous material. I love bringing these albums to life on stage and I truly feed on the energy of the crowd. It makes me feel a bit vampiric. IVM: Are there any further live plans, possibly in Europe? NB: Europe should be seeing a full tour in April. It has been far too long since we have had a chance to make it overseas and we will make sure to leave an impression this time around… I'm not sure if our European fan base is quite accustomed to the level of violence that we usual receive at our stateside shows but, we will have to put that to the test. IVM: Finally, what are your plans for the rest of the year? NB: We are currently attempting to wrap up the companion disc for Order of the Shadow : Act I and will be continuing to play shows and make appearances until that is released. I don't plan on stopping writing at any point in the near future. Psyclon Nine's new album '[Order Of The Shadow: Act I]' is available to buy now via Metropolis Records. For more information on the band, please visit their official website.